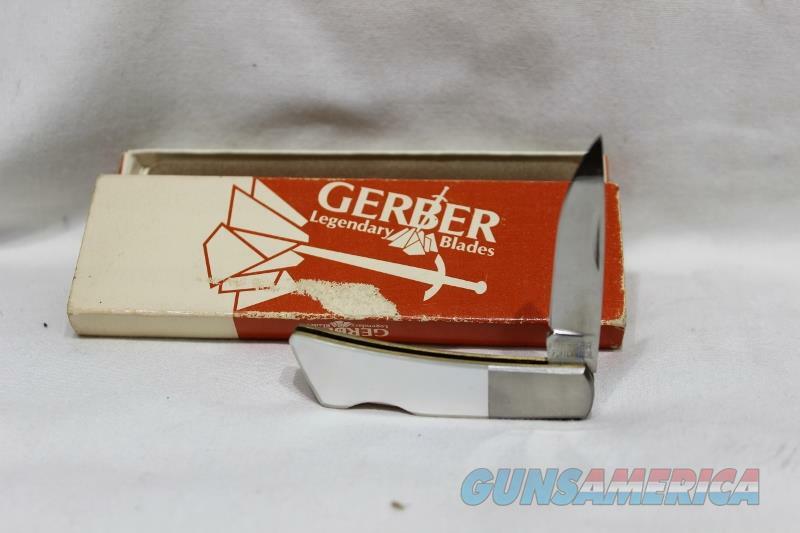 Description: Gerber Silver Knight, mother of peal handle, made by Sakai in Japan, great looking, new in the box. only taken out for pictures, never been sharpened, 200A #7607, 2", see pictures, We are a FFL, Florida residents add sales tax for your county, there is no local pick up and we do not have a retail store for you to come see the item. The price listed is a cash price; credit cards add 3% to the total. Please ask all questions prior to purchase, no questions are answered on Saturday and Sunday. If you do not complete the transaction appropriate feedback will be left.